Despite rumors going around for some time about a possible leadership challenge from Kevin Rudd, Australian ex Prime Minister, the news of his resignation from his post as Foreign Minister and his now open challenge to the current Prime Minister, Julia Gillard, have taken many by surprise. These are tough times for the Australian Labor party and this latest shock is destabilizing the party even more. The next Federal elections are due before the end of November 2013. A ballot to solve the leadership issue will be held in Canberra on Monday, February 27, at 10 am, Australian Eastern Day Light Saving Time (11 hours east of Greenwich). Here are the Natal Charts of Kevin Rudd and Julia Gillard, the Transits Charts for both, calculated for the time and location of the ballot. 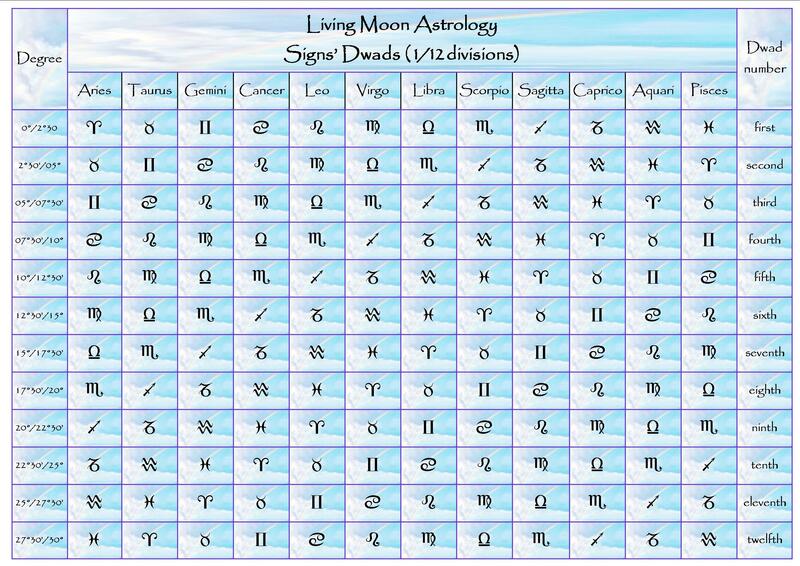 Also their Transits Charts for the time of the recent New Moon in Pisces (February 22), the New Moon being always a good indicator of the trends active in the coming month. Also Gillard and Rudd’s Secondary Progressed Charts for the day of the ballot. And finally the Synastry (two-wheel Chart) between their respective Birth Charts. Both individuals are obviously under a lot of stress from the cosmos, but, in my eyes, Gillard has some crucial advantages over Rudd, fact that seems to be confirmed, at this stage, by the general belief that she has more support from the Labor caucus to win the ballot and lead the party to the next elections. Let’s start with Rudd. The transit closer to exactness for him is the square (90 degrees right angle) between Pluto and his Natal Jupiter which happens to be very close to his Mid-Heaven, area concerned with his career and reputation. Transiting Pluto has been in fact, on and off, at right angle to this Mid-Heaven for the last two years, showing clearly the intense frustration his being divested of the Prime Minister-ship, on June 24 2010, had caused him; as well as the compulsion to redress the ‘wrong’ done to him by his colleagues. His Natal Jupiter so prominent in Libra gives him also a very strong sense of justice. While Natal Venus in Scorpio, in T square to Chiron and Uranus, and Natal Moon in the Eight House (the Scorpio House) will have made the whole dismissal episode even more painful and personal. The square Pluto-Mid-Heaven was exact at the time of the Gillard’s coup. The fact that this transit is still active and augmented by the Pluto-Jupiter’s square is not promising for Rudd. To add even more clout to this configuration, Rudd’s progressed Venus is in Capricorn, in conjunction to the transiting Pluto and therefore also in square aspect to his Natal Jupiter on the cusp of the Tenth House. And, very significant, I feel, short lived transits often triggering the slower ones, the transiting Venus in Aries will be actually in perfect opposition to his Progressed Jupiter in Libra 24 hours before the ballot! Astrologically speaking these aspects shows a bad time to become involved in any sort of legal battle, because one is likely to get into some serious, even dangerous power struggle, that, due to the prominent position of Jupiter on the career cusp, could negatively impact on the individual’s goals and ambitions. In Rudd’s favor is a positive sextile (60 degrees angle) between the transiting Pluto in Capricorn and his Natal Venus in Scorpio (remember how the same Pluto happens also to be conjunct his Progressed Venus in Capricorn?). This transit could give him more grit and determination, helping him to find the emotional resourcefulness he needs to challenge the Australian leadership, risking all in the process. On the other hand, Julia Gillard can match that with a trine from the transiting Pluto to her Natal Venus and Pluto’s conjunction in Virgo. I noticed with great interest that Mars, an important planet in Rudd’s Birth Chart (due to the conjunction to his Sun in Virgo) is also transiting Virgo now, in retrograde motion, as he was at the time of the 2010 event. The day he lost his battle with Gillard and her political allies the transiting Mars was in fact conjunct his Birth Mercury in Virgo. History seems to repeat, as now Mars, moving backward, is also applying to a conjunction to Rudd’s Birth Mercury (exact on March 9, but already close) and due to be repeated because of Mars’ Retrogradation! The transiting Mars is also preparing to form a 90 degrees angle with Rudd’s Natal Saturn in Sagittarius, aspect that will become exact on March 3. This transit can indicate a difficult time of frustrated actions and desires. Considering that the transiting Saturn, Retrograde in Libra, will also be in semi-square to his own Natal position in Sagittarius (aspect exact on March 5) it seem that tough times are in store for Kevin Rudd. The semi-square aspect in the 30 years cycle of Saturn indicates in fact also a sort of critical time, when it becomes necessary to give a honest look at one’s achievements and failures and take stock of one’s life. The Transiting Nodes of the Moon are also highlighting the Natal Saturn by conjunction and opposition respectively, another aspect stressing the importance of the present events in the unfolding of Rudd’s personal destiny and career. What also strikes me as non auspicious for him are the numerous Neptune’s transits active in his Chart at this time, because they tend to confuse and create false impressions and expectations that life may not be able to fulfill: see the opposition of transiting Neptune to Natal Pluto, showing great emotional vulnerability and the need to somehow relinquish one’s desire for personal power; also the semi-square of transiting Mars to his Natal Neptune, exact just on the day of the ballot, a weakening transit that could stress and confuse him, also making him more vulnerable to underhanded attacks from unforeseen fronts. At the same time transiting Saturn in Libra is separating from a conjunction to his Natal Neptune in early Scorpio, another debilitating combination, if not too strong due to the separation. To add to all this, Rudd’s Progressed Mars in Scorpio (conjunct the Sun in Virgo at birth) is still in orb of conjunction to the Progressed Neptune (0°42′), a strange combination of energies, that could drive him to act in erratic and ineffectual ways, driven by false perceptions of the situation. Even more significant than all the above to me is the fact that the Progressed Ascendant will, in early April, move into the Sign of Pisces (the Neptune’s Sign). Kevin Rudd was born when Capricorn was rising. His Progressed Ascendant moved into Aquarius long ago, in 1976, when Rudd was still a high school student. As we can gather from these dates the progression of the Ascendant is a slow affairs and therefore any change of the Ascending Sign should be regarded as extremely important in the life of the individual, creating a new outlook in life. This Sign on the rise will provide Rudd with greater intuition and sensitivity, but also diminish his staying power and ambitious drive. The Transiting Uranus is also active in Kevin Rudd’s Chart, close to the cusp of the Lower-Heaven (IC), the Natal Chart’s taproot and its foundation. Uranus, one of the major destiny makers of the solar system, is the facilitator of psychological turns and important event that can change our outlook and orientation in life in a real big way. Uranus was just tentatively in the Sign of Aries during Rudd’s dismissal in June 2010 (entered, first time, on May 28, 2010), shaking then the very foundations of his sense of personal security and belonging (IC,) as well as giving a sudden and unexpected turn to his career (opposing the MC). Even closer now to the actual Lower-Heaven’s cusp, Uranus has not finished providing many opportunities for major changes in his personal and professional life.The exact conjunction will occur on March 31 2012, very close indeed for a transit that can occur only every 84 years or so! From September 2010, when he became Australia’s Minister for Foreign Affairs, Kevin Rudd has lived abroad more than at home, fact that seems to fit well with Uranus in this unsettling but exciting position. To add to Uranus’ influence is a forming sesqui-square aspect (135 degrees) between the Transiting Uranus and Rudd’s Natal Moon in Leo. This is an important contact, in my eyes, because the Natal Moon was separating from a conjunction to Uranus at birth, strengthening everything Uranian, quirky and unpredictable, nervous and emotional energy in his life and temperament. Kevin Rudd’s Progressed Moon is in Leo, a positive, optimistic Sign, the same the Moon was when he was born. This will help to boost his popularity, also encouraging him to embrace the pride and self-centered temperament of his Natal Moon. The progressed Moon returned to the place she held at birth around two and half months ago, his second Progressed Moon Return, the beginning of a new phase in his emotional development. Significant is the fact that the Moon is waning, close now to the Last Quarter phase (90 degrees angle with the Progressed Sun in Scorpio) that will be exact on July 19 2012. This is a critical phase in the Progressed Moon-Sun’s cycle, one associated with inner turmoil and searching for answers to one’s life big questions. It is not however the ideal phase for moving forward with worldly plans because it indicates rather the beginning of a journey of inner discovery that will end at the next Progressed New Moon. That phase will happen at the very end of the progression of both Sun and Moon in Scorpio (on the 29th degree), in about seven years time (April 25, 2019). Apart from the Pluto sextile Venus discussed above, there are other positive transits active at the time of the ballot. The transiting Mercury in Pisces is in trine (120 degrees angle) to Rudd’s Progressed Sun in Scorpio, aspect that will help him to communicate his plans with the public and his colleagues more fluently and convincingly; while the transiting Sun in Pisces will be in trine with is Progressed North Node of the Moon and sextile with is Progressed South Node of the Moon, showing some positive developments in his self esteem that will help his future career. I feel that the decision to challenge the leadership, attempting to regain the position of power that he once had, is giving Kevin Rudd a great psychological boost, no matter what the outcome will be. He is coming clean with the Australian public and his party about his true feelings about the present leadership and the way he was hoisted out in June 2010. With all the aspects of Pluto around I say he has been waiting for an opportunity to do just that for a long time. If he loses, as I think he will, he’ll lose with dignity, a very important point for someone born with a proud Leo Moon, an ambitious Capricorn rising and the compelling Scorpio’s need to pass judgement and address wrongs. A last observation on the transiting Moon on the day of the ballot. The Moon will be in Taurus, close to a conjunction to Jupiter in Taurus, just below the eastern horizon in Canberra, Australian capital, with feminine Venus the closest planet to the Aries Ascendant. The two feminine planets are then both rising around that time, a plus for women and generally feminine energies. The transiting Moon, like Jupiter, will be then applying to an opposition to Rudd’s Natal Venus and Neptune in Scorpio, while forming a harmonious trine with Gillard’s Venus-Pluto’s conjunction in Virgo. I have spent an inordinate amount of time on Rudd’s Transits and Progressions, because they are so fascinating, reflecting the situation in uncanny ways. Because of that I will not be able to write as much on Julia Gillard’s aspects, or I would risk to be late for the ballot. I’ll do my best to share my discoveries in a more succinct way, because her Astrology is as fascinating as Rudd’s, and as complicated. Turning my attention to Julia Gillard’s Transits and Progressions it is easy enough to see that this is a difficult and critical period for her too, having been so for a long time. Some rather positive aspects and progressed indications seem to balance well the challenges in her case. The transit that first would attract any astrologer’s attention is the ongoing conjunction of Saturn to her Natal Mars in Libra, in the Eleventh House of friends, collective concerns and aspirations. The first pass of this transit became exact on January 2, 2012, and the second Retrograde pass, usually the most crucial, will occur on March 15, and is already very active now (only one degree apart)). The third and last pass of the same aspect will be exact only on September 21, 2012. Even if she was to win the ballot on Monday morning, this transit will be more or less on her back for a while longer, making it harder for her to gain the popularity she needs with the general public and the authority she ought to have as the head of her party and the minority government. This leadership challenge has put another weapon in the hands of the Liberal/National opposition and its feisty leader (to see Tony Abbot’s Natal Chart visit this early post) that they will surely use until the next Federal Elections in 2013. Saturn-Mars’ mutual transits, especially when long lasting due to Retrogradation, are aspects of consolidation, and also many frustrations and setbacks. During those transits it may become necessary to take on added responsibilities, adhering to a more serious, rigid but highly efficient discipline in action, as a foundation for the achievement of future goals. All the hard work is in fact not usually attracting immediate rewards when this aspect is around. Even more than any other aspect between Mars and Saturn the conjunction is well known for its character building effect on the individual who is forced to grow up by facing squarely his/her difficulties, with the choice of making them into stepping stones for future achievements or the cause of crushing defeats. The Retrograde Mars is also very much highlighted in transit, separating from Gillard’s Virgo Mid-Heaven (aspect exact on February 19), over which he will return in Direct motion on June 10. 2012. The first pass of this transit occurred on December 26, 2011. This is a time then, again not only limited to tomorrow’s ballot, to fight bravely and with Virgonian cunning (Mars) to defend and save her political career and reputation (MC). The transiting Mars was also in Virgo in June 2010, that time conjunct her Natal Venus and Pluto’s conjunction, during the cabinet rebellion she lead against the then Prime Minister Kevin Rudd. Returning to Saturn, the transiting Mercury in Pisces forms a harmonious and dynamic sextile (60 degrees) with her Natal Saturn in Capricorn, exact on the day of the ballot. This will help Julia Gillard to stay level headed and to communicate her mind with maturity and self-control. Active also at this time (exact on three occasions, in January, March and September 2012) is the sextile between the Transiting Saturn and the Natal Uranus in Sagittarius (in sextile to Natal Mars at birth), another long lasting transit, showing opportunities to embrace changes (Uranus) without losing sight of practical considerations and the limitations of the situation in hand. This is an aspect fostering steady growth and changes that may last the test of time. Julia Gillard has just finished with her Chiron’s Return, when the last pass of this significant coming of age transit occurred on January 18, 2012. In 2011 the transiting Chiron became conjunct her Natal Chiron two more times, in March and September. The Return of Chiron represents a time for everyone (age 50 to 51) when we need to acknowledge our human vulnerabilities, when, becoming obviously older, we need to look at our life’s successes and failures, strengths and weaknesses, learning to accept it as it is/was, with all the unavoidable pains and disappointments. The sort of hopes and dreams that now we know cannot be fully realized will have to discarded or will otherwise forever haunt us as unfinished business or unrequited longings. Growing up, after turning 50, we are given the opportunity to realize that we can begin to heal the wounds of the past and find real fulfillment in the life we have rather than the life we wished we had. If the maturity that Chiron demands to accomplish this difficult passage is not there the future could look bleak indeed at this point, wrecked by disillusions and regrets, with no healthy physical and psychological prospects to look forward to. If Julia Gillard has accomplished this passage well she will be now more mature and pragmatic, to take on further challenges. Her struggle has been a very public one indeed. The active transits of Pluto at this time are the strongest signatures of a Julia Gillard’s victory in Monday ballot. Pluto in Capricorn is in fact just separating from a harmonious trine with her Natal Venus-Pluto’s conjunction in Virgo (c0mpare these with the square Pluto-Jupiter Kevin Rudd is experiencing). At the same time the transiting Moon and Jupiter in Taurus, in forming trine to transiting Pluto, are also forming a trine to the Natal Venus-Pluto. The Pluto-Pluto and Pluto-Venus’ transits have been with her since February 2011 and will remain with her until the end of this year. The fact that the transiting Moon is also involved is important because the Moon always works as a trigger of the slower moving transits, activating them big time. The whole configuration can provide great resourcefulness and moral strength, giving Julia Gillard the hard edge she needs to win the hardest battle of her political career so far. Because Gillard was born with Scorpio on the Ascendant and Pluto rising any aspect involving Pluto are very significant for her, bringing up the resolve, stubbornness and personal power of this intensely willful Sign. Neptune plays also a part in Julia Gillard’s present astrological tale, forming contacts with both Mercury and Venus. The Progressed Mercury is this year conjunct her Progressed Neptune in Scorpio (very very close now, but slow moving. Exact in May/June 2012), helping her to make choices based on right intuitions and a deeper understanding of the undercurrents of any situation. This aspect could also space her out, but, I feel, Saturn in charge of Mars and Mars on the Mid-Heaven will help to curb the more dreamy and unreliable effects of the Mercury-Neptune’s contact. Strange, but true, the Progressed Venus, this year as well, will instead become conjunct the Natal Neptune in Scorpio (so both Natal and Progressed Neptune will be activated), exactly on May 1, 2012. I hope for her sake and for the stability of the government, that, if she wins the ballot, she will get in touch with some feminine magic to counteract the rather hard-masculine exterior she feels she has to wear like an armor to defend herself from the ferocious attacks of the Scorpio Sun, Mercury, Mars, and Aries Moon opposition leader Tony Abbot, and a startling chauvinistic press. Venus-Neptune is the feminine that enchants and soothe. It has very spiritual connotations, hopefully inspiring Julia Gillard to embrace more unifying and inclusive view of life and politics. I feel that what many Australian people would be glad to see is a more spontaneous, vulnerable, compassionate Prime Minister. Otherwise, give us a bloke anytime. As a woman she has the sacred duty to do things in a more feminine, less antagonistic way, more cooperative and sympathetic. This aspect, if lived through right, could inspire Julia to greater human achievements than political strategy. It is also personally a very romantic aspect (once in a lifetime stuff) that could perhaps produce wedding bells for her and her partner. To top the above the Transiting Neptune in early Pisces will remain in harmonious trine to her Natal Mercury in early Scorpio for the whole of 2012. This aspect is a sort of auspicious double of the Progression of Mercury over the Progressed Neptune described earlier. Notable for me is the close conjunction (exact on February 2, 2012) between the Transiting South Lunar Node (Dragon’s Tail) and Julia Gillard’s Natal Moon in Gemini. It is very easy to see in this aspect that the past has come to emotionally haunt Julia Gillard’s life at this point; that she is now paying the fee for past errors of judgement. And it is certainly true, the South Node always referring to the past, in this lifetime and beyond. When on the Moon like this unfinished business will come up and clamor recognition and closure. Great time to do that, but also to let go of that past as one acknowledge it. Hanging onto it will be instead very detrimental, bringing us back to face emotional situations we have avoided and to re-live the past in rather negative ways. In itself, without giving a positive or negative judgement on this, this conjunction tells that a significant time in this person’s emotional history has come, when, faced with the past, she needs to decide what to do with it in order to move forward. Julia’s Progressed Moon, like Rudd’s, is in a Fire Sign, Julia’s Aries versus Kevin’s Leo, respectively the Warrior and the King/Queen Moon. Her Aries Progressed Moon is just now entering the Third Natal House, area of communication, travel and learning. 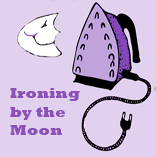 While Kevin’s Progressed Moon is waning, close to Last Quarter, Julia’s Moon is instead waxing, very soon to become Gibbous (exact phase on March 20, 2012, very close), a dynamic Moon phase, when her creative power is at its highest and so can be employed to further the individual’s career. One is working, more or less consciously, toward the goal and peak experiences represented by the future Full Moon (happening for Julia on the very last degree of Scorpio in September 2015). According to the Sign and phase of her Progressed Moon Julia still has a lot of energy to make an impact on the world. The Moon in Aries will provide the initiative, courage and vision she will need many battles. The Progressed Moon is also meaningfully connected now to her Progressed Venus-Mercury and Mid-heaven in Scorpio and her Progressed Pluto in Virgo, forming a quincunx (150 degrees) with Venus-Mercury and Pluto, while Venus-Mercury-Mid-Heaven form a sextile (60 degrees) with Pluto. This configuration is known as a Yod, Finger of Fate or Finger of God, the Moon the apex of this cosmic triangle and it supposedly can bring greater awareness in the areas (Houses) and the Signs occupied by the planets involved, in this case to Julia’s career (Mid-Heaven) and expression of her personal power (Eighth House Pluto). Last observation about Julia’s Progressions: significant is that her Progressed Sun in Capricorn is this year becoming conjunct her Natal Ascendant in Capricorn, aspect that was exact at the end of November 2011, but is still very active, due to the slow motion of the Progressed Sun. This aspect, a once in a lifetime event, could bring success and recognition to Julia Gillard, as well as a renewed sense of confidence in her goals and vision. The Sun over the Ascendant represents a symbolical sunrise, the beginning of a brand new day or epoch in her life. It is certainly no coincidence that this sunrise was becoming active around the time she was elected Australia’s Prime Minister. Strange but true, Kevin Rudd is also experiencing a sort of astrological sunrise, in a different way. The present Transiting Sun in early Pisces is close to his Progressed Ascendant (a once in a year transit) on the last degree of Aquarius. The New Moon on the 22nd was also close to his Progressed Ascendant. This period and the events happening now are marking a new beginning in his life too. Julia has some tough transits to go through on Monday. Some may even read in them signs of defeat. I still feel she will win the ballot, but she still has a long way to go to win the hearts of the Australian people, and her difficulties are perhaps just beginning. I am referring here to the opposition (180 degrees) of the Transiting Sun to her Natal Venus-Pluto’s conjunction, and the semi-square (45 degrees) of the Transiting Sun to her Natal Saturn in Capricorn, all tough aspects showing that she is confronting a worthy opponent (Venus-Pluto, sort of Nemesis) and struggling with some serious inner doubts and fears. Only natural. Let’ no forget though that Julia has also a trine between the Transiting Jupiter in Taurus and her Venus-Pluto’s conjunction in Virgo. That should help, and so too the perfect sextile Mercury-Saturn, the trine Pluto-Pluto, the sextile Saturn-Uranus, and the trine Neptune-Mercury. In brief: at the time of the Pisces New Moon on February 22. 2012, the Sun and Moon transited exactly over Julia’s Natal Chiron in Pisces, while applying also to a conjunction to the transiting Chiron, and opposition to her Natal Venus-Pluto in Virgo. The Sun and Moon were also in trine to her Natal Mercury in Scorpio. The same Pisces New Moon was also in opposition to Kevin’s Natal Pluto in early Virgo and applying to a square to Natal Saturn in Sagittarius. 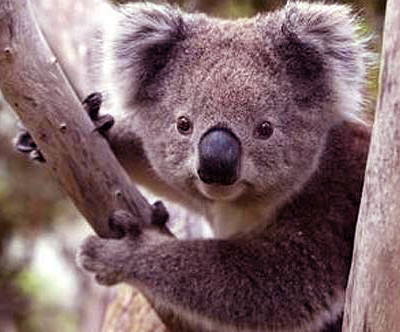 To check my previous posts on Kevin Rudd, Julia Gillard, Tony Abbot and the 2010 Australian Prime Minister-ship challenge and Federal Elections, please visit my Australiana Page HERE. 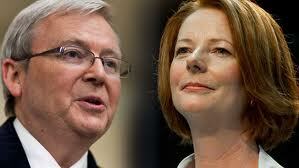 Looking at the ballot chart for Feb. 27, 2012, 10AM, Canberra, Australia; their is no way that Rudd can win. The ASC (Gillard) is ruled by Mars placed in the 5th house; which is ruled by Leo. The Sun is place in th 11th and sextile the Moon, conjunct Jupiter, opposite Saturn and trine Pluto. The DSC (Rudd) is ruled by Venus placed in the 1st in Aries (in detriment) and opposite Saturn, conjunct the ASC (owned by) and square the MC (stature in the community). For simplification I’m leaving out some details, however, Rudd will lose this ballot hands down – not even close. In summary, their is no way that Rudd can win this ballot. As we get closer to the Nov. 2013 election, post the exact date, time and location and I’ll tell you the winner using more advanced techinques (which I used to get the exact score of Super Bowl 46 24 hours in advance; as documented on my blog: http://wfoster2011.wordpress.com/).